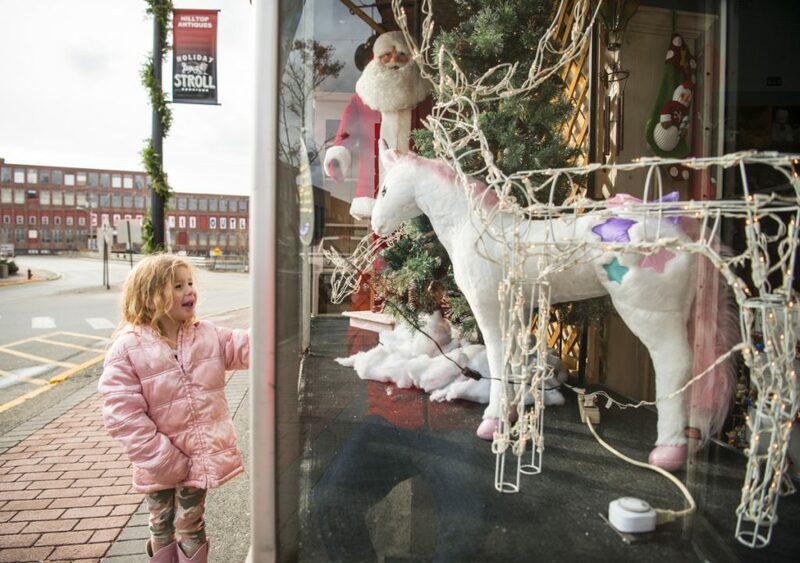 The 26th annual Holiday Stroll is set for Nov. 30 through Dec. 1 in downtown Skowhegan. The holiday parade will kick off Friday evening and festivities will continue Saturday morning and afternoon with a host of free activities and treats throughout and near downtown, including pictures with Santa and the elf scavenger hunt. • Hospice Volunteers Somerset County Lights to Remember, 5:30 p.m., Centenary United Methodist Church, Dr. Mann Road. This annual remembrance ceremony will feature a reading of names and lighting of candles. • Sign up for a phone call from Santa, 9 a.m. to 3 p.m., The Skowhegan Fleuriste on Water Street and the Skowhegan Area Chamber of Commerce on Commercial Street. • Holiday Bazaar, 10 a.m. to 6 p.m., Skowhegan Free Public Library, Elm Street. • Free holiday movie: A Christmas Story, 4 p.m., the Strand Cinema, Court Street. • Free hot cocoa, 5-9 p.m., the Bankery, Water Street. • Holiday Parade, 7 p.m., downtown. Starts at the Skowhegan Savings parking lot on Elm Street, travels down Madison Avenue and Water Street, and ends past Redington Memorial Home. • $1 hot cocoa and hot cider, 6-8 p.m., the Miller’s Table at Maine Grains, Court Street. • Parade treats, 6-8 p.m., Country Crow, Water Street. • Breakfast and photos with Santa, 8-10 a.m., Tewksbury Hall, Island Avenue. Cost is $6 for adults, $2 for children older than 10, free for younger children. • Ornament making, 8-10 a.m., Tewksbury Hall. Skowhegan Area Middle School Student Council will offer ornament crafts for children after breakfast. • Tessiers Farm Petting Zoo, 10 a.m.-2 p.m., Municipal Parking Lot. • Cornville Regional Charter School Craft and Vendor Fair, .9 a.m.-3 p.m., Downtown location. • Bloomfield Elementary Craft Fair, 9 a.m.-2 p.m., Bloomfield Elementary School, Academy Circle. • Cub Scout Pack 485 Craft and Vendor Fair, 9 a.m.-2 p.m., Centenary United Methodist Church, Dr. Mann Road. • Children’s activities, 10 a.m. to 2 p.m., Spectrum Generations, Leavitt Street. • Elf-on-a-Shelf Scavenger Hunt, 9 a.m. to 3 p.m., downtown. Search for hidden elves in certain downtown locations, record all their names, and get entered for a chance to win one of two prizes. • Christmas craft, 9:30 a.m. to 1:30 p.m., Crafty Creations, 165 Water Street. • Holiday Birdfeeder Craft with the Outing Club, 9:30 a.m.- to 12:30 p.m., Whittemore Real Estate, Water Street. • Yo-Yo Making and $5 Bat Decorating, 10 a.m. to 2 p.m., LaCasse Bats, Madison Avenue. • Snowman Soup with the Skowhegan Rotary Club, 10 a.m. to 2 p.m., Skowhegan Area Chamber of Commerce, Commercial Street. • Stonewall Kitchen Sampling, 9:30 a.m. to 1:30 p.m., the Bankery and Skowhegan Fleuriste, Water Street. • $1 hot cocoa and hot cider, 9 a.m. to 1 p.m., the Miller’s Table at Maine Grains, Court Street. • Festival of Trees, 10 a.m. to 1 p.m., Redington Memorial Home, North Avenue. Vote for your favorite between 3-5 p.m.
• Bonfire and marshmallow roasting, 10 a.m. to 2 p.m., Municipal Parking Lot. • Lions Club Talking Tree, 10 a.m.-2 p.m., Key Appliance, Water Street. • Horse-Drawn Wagon Rides, 10 a.m. to 2 p.m., Municipal Parking Lot. • Holiday Bazaar and Free Book Giveaway, 10 a.m. to 2 p.m., Skowhegan Free Public Library, Elm Street. • Hot Cider and Cookies, 10 a.m. to 2 p.m., River Roads Artisans Gallery, Water Street. • Cookie decorating with the Bloomfield Garden Club and Skowhegan Women’s Club, 10 a.m. to 2 p.m., Computer Improvements, Water Street. • Holiday message recording, 10 a.m. to 2 p.m., HooSkow 98.1 FM, Court Street. 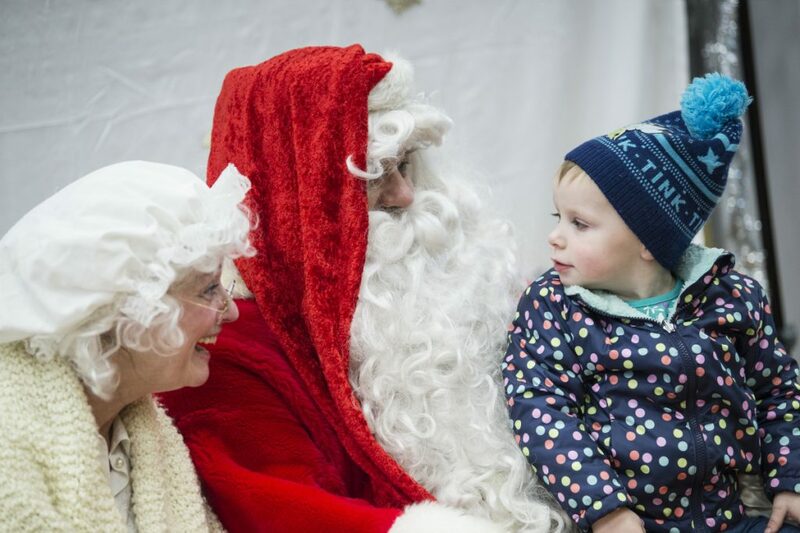 • Letters to Santa, 10 a.m. to 2 p.m., Skowhegan Area Chamber of Commerce, Commercial Street. • Holiday Craft Fair, 10 a.m. to 2 p.m., Top Hat School of Dance, Water Street. • Free Holiday Movie: A Christmas Story, 10:30 a.m., the Strand Cinema, Court Street. • Visits and photos with Santa, 11 a.m. to 1 p.m., Somerset Public Health, Madison Avenue. • Fire hoop performance, 11 a.m. to 1 p.m., Municipal Parking Lot. • Ugly Sweater Walk, 11 a.m., Skowhegan Area Chamber of Commerce to Redington Memorial Home. Suggested donation is $10 per person, prizes will be award to the three ugliest sweaters. Proceeds will be used to send a female veteran for a week-long stay at the Travis Mills Foundation Veterans Retreat. • Kennebec Valley Chordsmen Chorus, 2 p.m., Federated Church, Island Avenue. For more information, visit mainstreetskowhegan.org.